It should come as no surprise that businesses of all kinds are starting to move away from using paper in their day to day operations. The environmental impact alone is enough reason to make the switch, but increasing efficiency and saving money are two other major factors in these decisions. According to theworldcounts.com, 50% of waste produced from businesses comes from paper waste. With less than half of the current businesses properly recycling, the burden on the environment and waste management services is vast. Switching to paperless solutions around the office are a great way to reduce the footprint your company will leave on the planet. Hiring a full time administrator or office manager to oversee day to day operations is essential for most companies, however the productivity and customer service of your staff can fall through the cracks when they are spending their time sorting, filing and printing various documents and files. 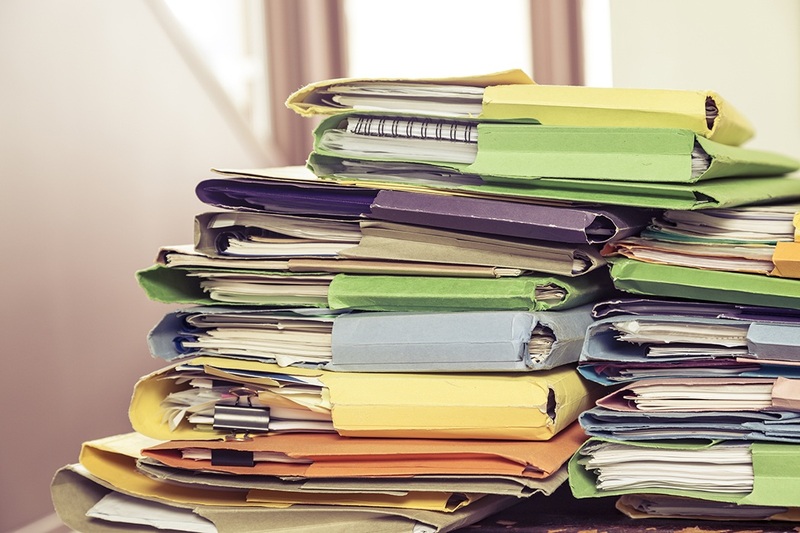 Not only can you reduce the time your office staff spends hunting down documents, but you can increase their productivity by having a virtual filing system at their fingertips. Not every business has the space to store boxes upon boxes of old files and documents. Often, companies need to keep track of things like maintenance reports, safety audits and other important forms and files for several years in case of an audit. Having a digital file system where you can compile and store your forms in the cloud eliminates the need for extra storage space while keeping things organized and easy to find. You can keep backups in the cloud, copies on PC’s , USB’s and hard drives that are small and easy to store as well. Over time, paper documents can get damaged, worn and otherwise become unreadable. Digital forms will always be available and ready to use with no worry for damage to your work. Not only that, but field workers can assure the quality of their documents and not turn in damaged paperwork for review. A lot of times, it comes down to the dollar – So just how much is paper costing you in your office? Custom form booklets can cost hundreds to design and thousands per year, but even on a basic level the cost of paper can be measured easily by looking at the averages. The average case of regular 8.5 x 11 printer paper can cost between $55.00 – $70.00 per 5000 sheets. The average office worker uses 10,000 sheets of paper per year, so even on the low end you are paying $110.00 per employee in paper alone. Even a small office of 5 employees and field workers will cost you over $500/year in paper alone, before you factor in the cost of printers, ink, filing tools and man hours needed to produce, sort and store everything. It’s usually only when owners and managers break down these costs to see the actual impact of paper products do they see the value in trying a new approach. Considering a change yourself? Request a free demo today by visiting https://chameleonformsapp.com/requestdemo/ and take the first step towards a more efficient and affordable office.